This year I am delighted to be teaming up with Hugh Jordan & Co, an Irish owned catering equipment company serving the nation’s hospitality industry since 1947. Hugh Jordan & Co now caters for us home cooks with a wide range of industry standard equipment that is suitable for domestic use. You can see their full online catalogue HERE. Just before Christmas, the nice people at Hugh Jordan & Co, sent me a gift of a soup gun. Folks, this ain’t no ordinary soup gun. Oh no. 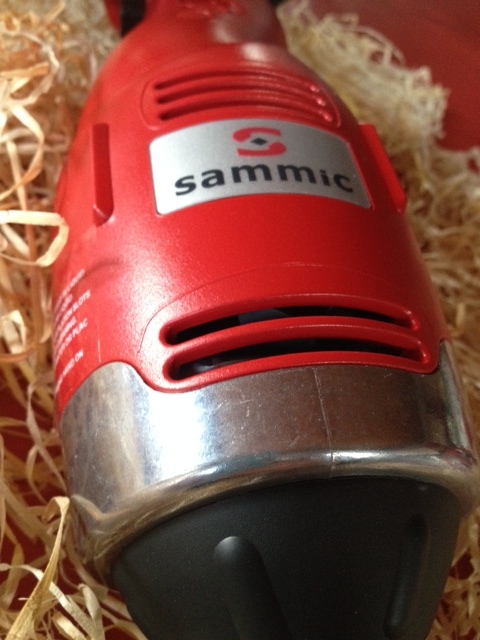 It’s a Sammic TR250 soup gun worth over €300. It. Is. The. Bees. Knees. 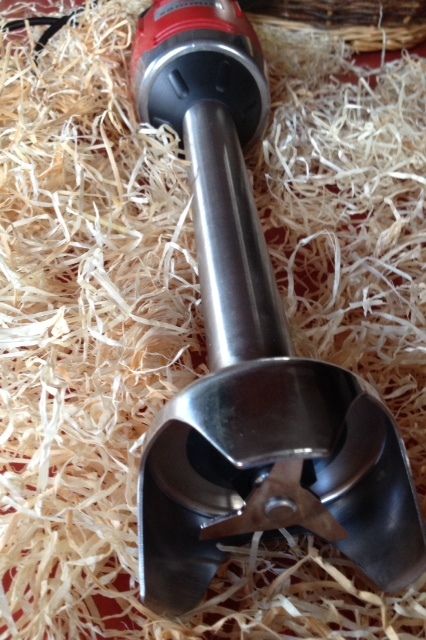 Easy to use, easy to clean, liquidises your pot of soup in seconds and guess what? They are giving away another of these amazing guns to one lucky reader of this blog! In what county in Ireland will you find the Hugh Jordan & Co Showroom? Meanwhile, I have been putting my soup gun to good use with soups over the holiday period. 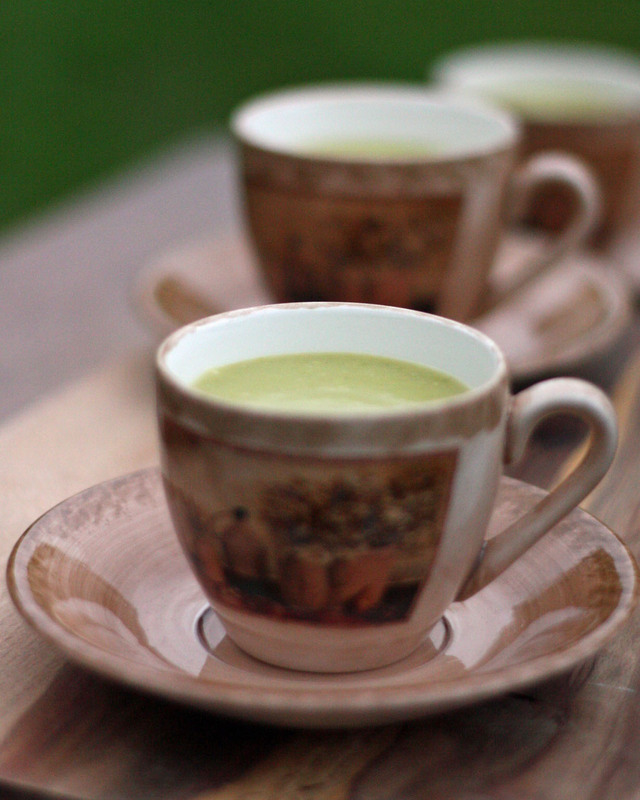 Here’s my recipe for a very simple, but incredibly delicious, pea soup. 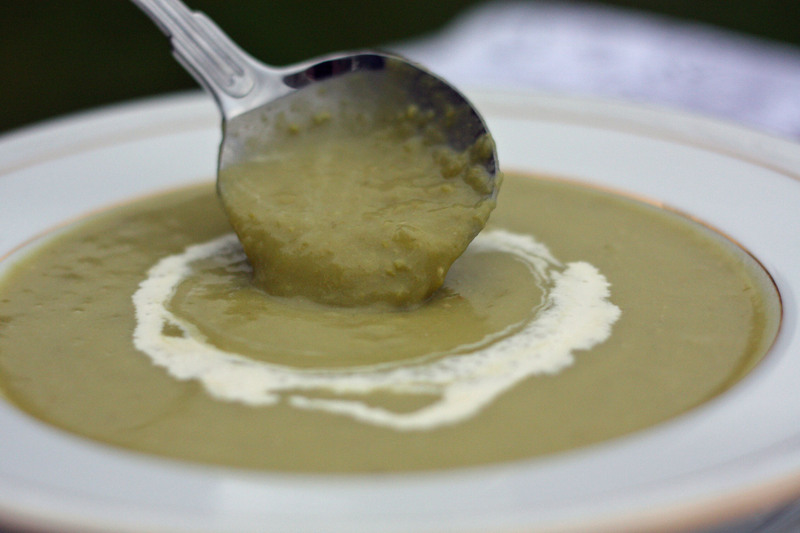 Pea soup is quick, economical and easy to make. Served with homemade bread, it makes a vibrant, tasty lunch. Well liquidized, it is an ideal soup for an elegant dinner party and is equally at home served in a cup amongst a tray of canapés. Melt the butter and add the shallots and leeks. Stir over a low heat for a couple of minutes until they start to soften. Add the potato and cook for one minute. Add the frozen peas and the stock and bring to the boil. Reduce the heat and simmer for 25 minutes. Blitz with your soup gun for 4-5 seconds. Return to the pot and reheat gently. This really couldn’t be any easier and is a favourite amongst all ages here at Hunters Lodge. Best of luck dear readers with this competition – this really is a super prize! In the meantime, don’t forget to contact Irish Country if you would like tickets for their first readers evening in Kilkenny on January 27th. I am so excited to be one of the speakers at this inaugural event in Kilkenny Castle. See you there. Winner will be randomly chosen on Friday January 23rd at 6pm. Sorry friends and family, you can’t win this prize. Hugh Jordan & Co will deliver the prize to the winner on confirmation of the winner’s address. What a fab machine – would love to win! Hugh Jordan & Co. Are based in Santry in north Dublin. Keeping my fingers crossed! Dublin!!! We’re soup mad in our house and this would put up some serious mileage!! Mileage wouldn’t be a problem for this machine. Good luck!! Well that’s definitely the bees knees of soup guns! Hugh Jordan & Co. are based in Dublin. It sure is. Best of luck! Many happy returns and best of luck! Santry, Dublin. Using up all the root veg in my garden at this time of year to make soup and this machine would be so useful. Yes it would be perfect. Best of luck! Im making a soup a week now so that would definitely come in handy!! The showroom is in county Dublin in Santry. Do I head over to your blog website to follow is it? Yes, it’s the place on the right where you submit your email address. Good luck! They are based in Santry Co Dublin Fiona. The scene of a fantastic world record attempt I read about as a youngster. We all had our dreams in them days 🙂 Another dream would be to work with such a soup gun in West Sussex. Hugh Jordan & Co are based in Dublin. My lovely hubby is a bit of a chef in our house and he’d love to try this out on his soup. A hubby who is a bit of a chef is a blessed thing! Good luck! What a great prize 🙂 That Pea Soup recipe made me want to lick the computer screen!!! Looks lovely! Hugh Jordan & Co are based in Co. Dublin. Fingers crossed! Fabulous competition Fiona & that soup sounds delicious. Hugh Jordan & Co’s Showroom is based in Santry, Dublin 17. I badly need this! 🙏 😀 answer is Dublin. Hugh Jordan & Co have a showroom in Santry, Co. Dublin. Would love to win. What a beast! 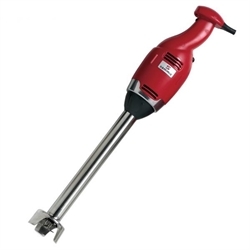 Could definately use a powerful gadget like this as I’ve broken several stick blenders (I blame those chunky carrots!!). Hugh Jordan and Co., have their showrooms in Santry, Co. Dublin. Answer is Dublin. Fab prize! 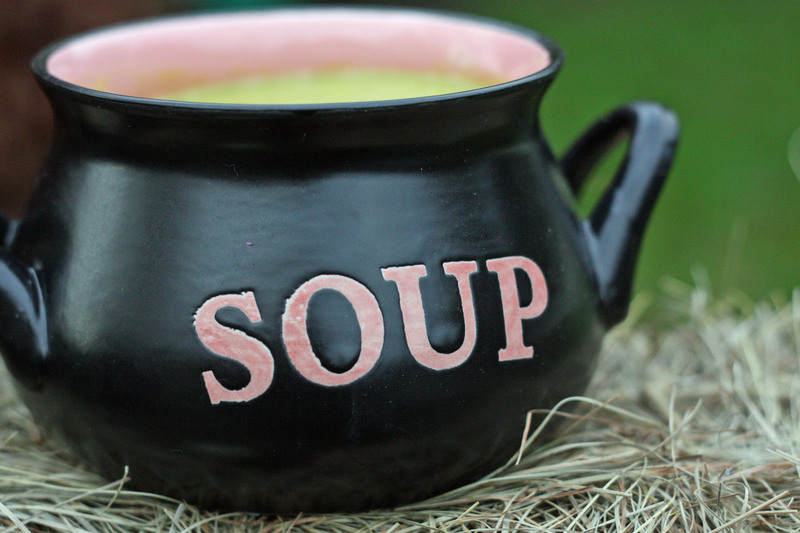 Perfect for sneaking those healthy veg into delicious soups for the kids. Dublin, Would love this gun, perfect for our house. Dublin is the answer. I would love to win this as it would really help with making my homemade soup. Great machine..my sauces would love it! Hugh Jordan are in Santry in Dublin. Who won….I have not seen the results!! Well folks, we have a winner. All the entrants were allocated a number by my good self and Mr D was asked to pick a number randomly. He picked the number 16. Number 16 was Orla! Congrats Orla, there’s an email on it’s way to you today.